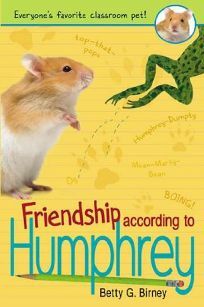 PW called The World According to Humphrey a ""breezy, well-crafted first novel, narrated by a hamster."" The comical critter returns to Room 26 in Friendship According to Humphrey by Betty G. Birney, only to discover a new class pet, Og the frog. Can a friendship be forged? .